Photos of Mrs. Beryl Markham clockwise from top left: in 1936 by Bettman, via Little Brown Book Group, in Brooklyn being revered as the first person to fly the Atlantic solo from East to West, 1936. Image below via New York Public Library. 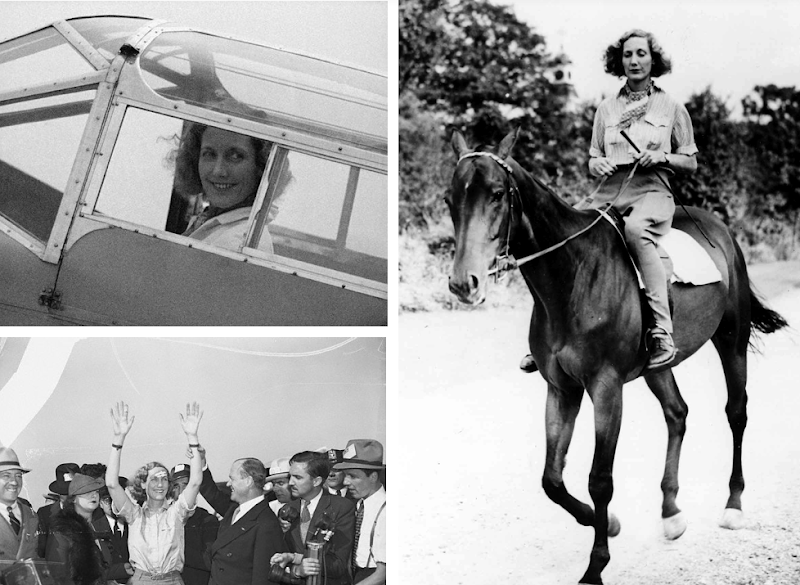 Markham was a British-born Kenyan aviatrix, adventurer, and racehorse trainer. In 1936, still the pioneer days of aviation, she became the first person to fly solo across the Atlantic from east to west. She apprenticed as a trainer and breeder of racehorses, and in the 1930s became an African bush pilot as well. If this sounds familiar, it might be because Markham is the real-life inspiration for the character Felicity, the outspoken horse-riding tomboy in Karen Blixen's memoir (and adapted film) Out of Africa. Markham later authored an acclaimed novel West With The Night of which Ernest Hemingway said, "She has written so well, and marvelously well, that I was completely ashamed of myself as a writer." And just one final note: she wore ascots. Thanks to Kaylee Corcoran for the rec! "west with the night" is one of my all time favorite books; i think i've underlined about half of it! and "out of africa" is one of my all time favorite movies - but i never knew she was the inspiration for felicity! how cool! I just read "West with the Night" on the recommendation of American Airlines CEO, and it was fabulous. What an inspiration, obviously not just to us, but to famous authors as well. I highly recommend the book and, of course, Beryl!s tomboy style! Is she wearing blucher mocs or some sort of oxford while on that horse. The cut of the leather on those shoes intrigues me. Beryl has been a hero of mine since I read WwtN in middle school. 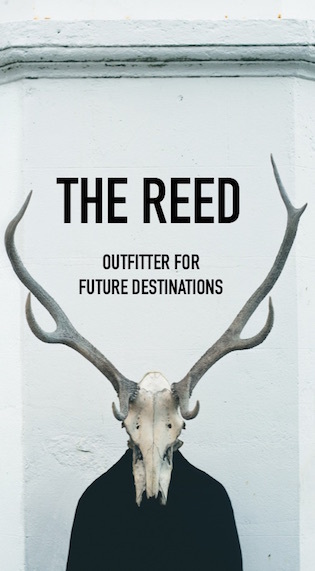 The Splendid Outcast is a collection of her short stories which is also fantastic. She most likely did not write WEST WITH THE NIGHT. It was thought to be written by her boy friend at the time but sold under her name. This era seems to be full of adventurous, independent women. 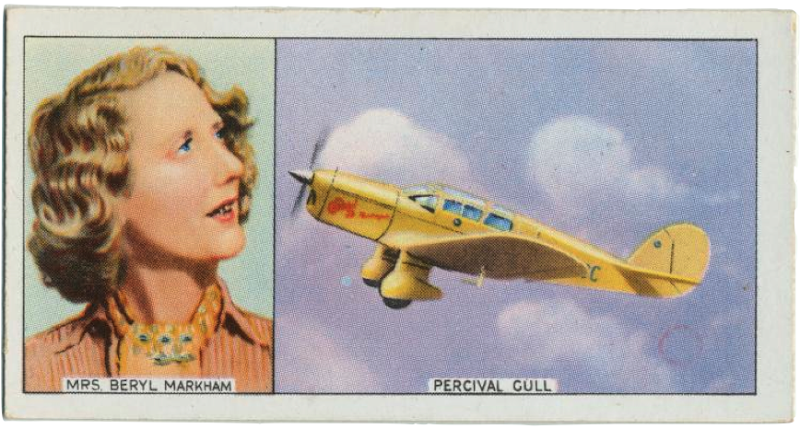 As a coincidence we have just posted some photos of a friend of Beryl Markham and of a very similar nature - Eva Dickson. They met in Africa and Eva married Baron Bror von Blixen Finecke. Your blog is a great inspiration! Out of Africa was actually an autobiograhy of Karen Blixen's own life.